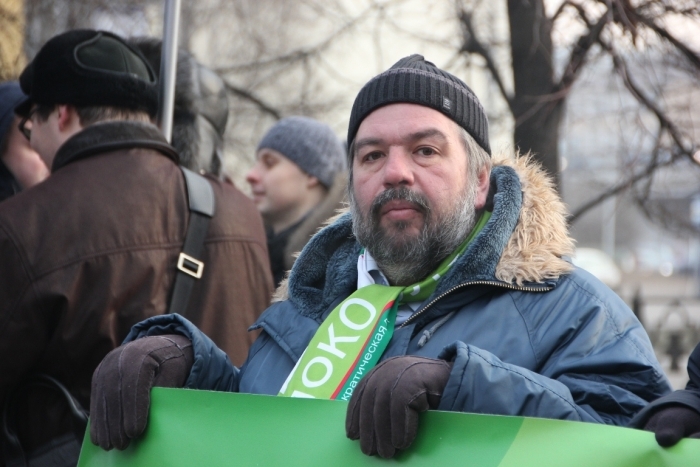 The YABLOKO party participated in the march and rally under the slogan “For reasonable medicine” which took place in Moscow. More than 5400 people participated in the action. The participants of the march stood against liquidation of reasonable and qualitative state healthcare and against low wages and labour load of doctors. 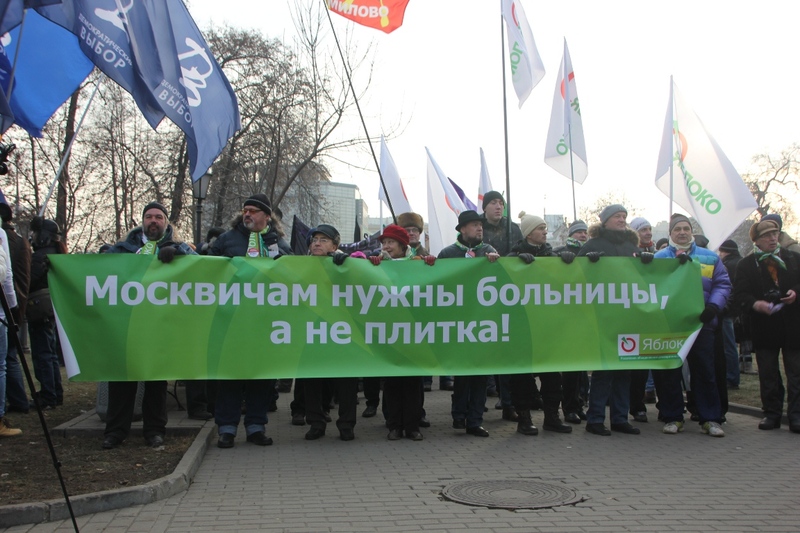 YABLOKO’s column held a banner which said “The Muscovites need hospitals not tile”. 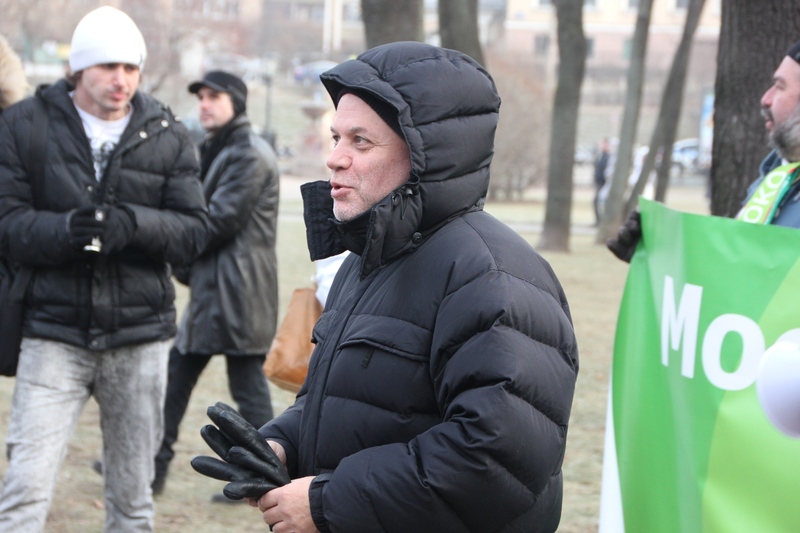 “Moscow and federal authorities should understand that the Muscovites aren’t joking. 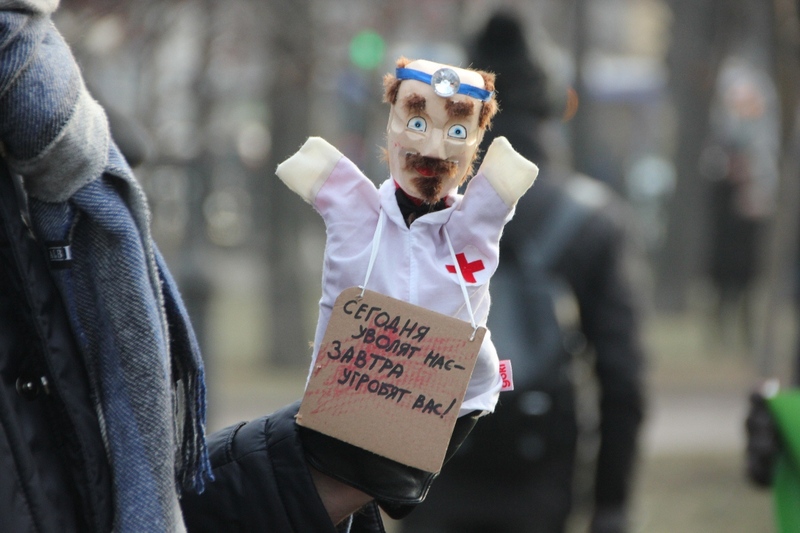 The doctors and patients are against the cut of doctors’ work places”, expalined YABLOKO’s municipal deputy Grigory Semyonov. Galina Mikhaleva, secretary of YABLOKO Political Committee, is sure that the cut of doctors’ work places will effect on the patients. “Actually, this healthcare reform will lead to the increase of confirmed invalids amount and increase of mortality rate. It’s terrible when the state worries of defence in the first place, not about health and life of the citizens”. 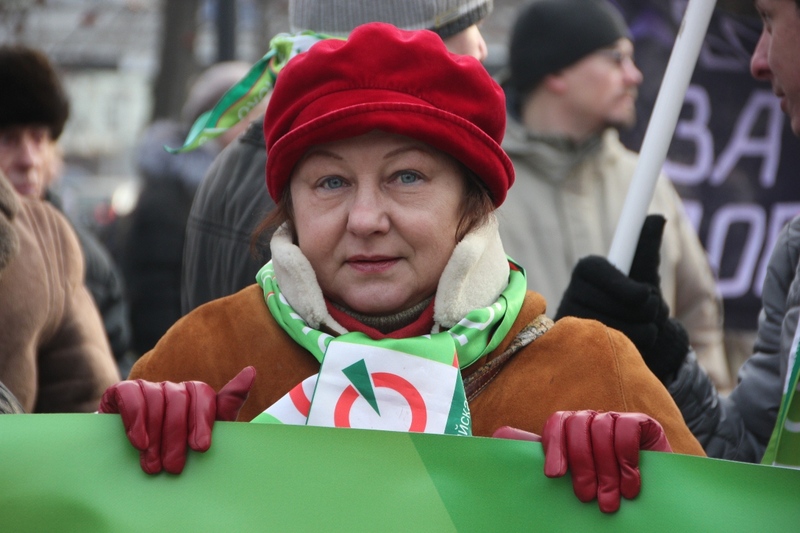 “The Moscow branch of YABLOKO considers such liquidation of [allegedly redundant] hospitals be a crime against Muscovites and urges city officials to regard construction of modern health care institutions as infrastructure facilities, as health is more important than roads, transport, tile paving and coloured lights on the sidewalks”, runs in the YABLOKO statement. Posted: December 6th, 2014 under Healthcare.